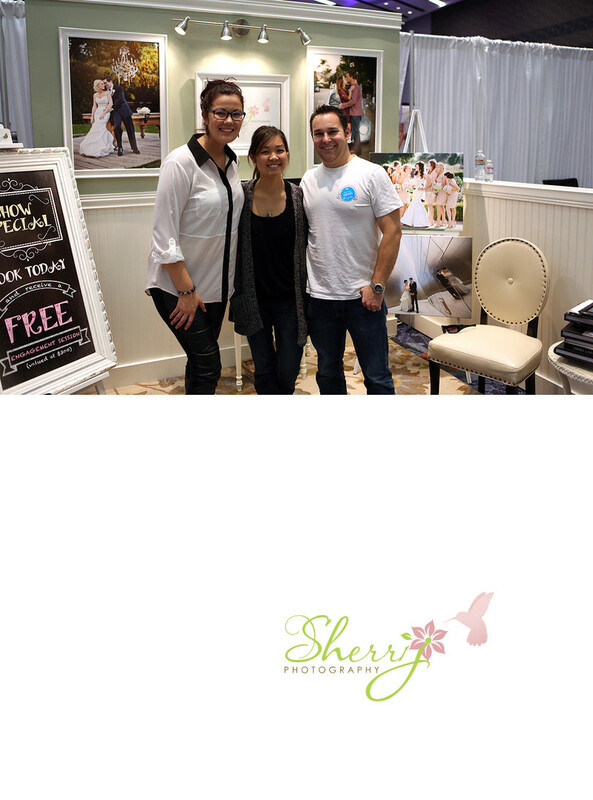 Sherri J Photography featured at Anaheim Convention Bridal Show. Premier Bridal Show Photography booth design by Sherri with faux wall, a half wall, installed lighting, wedding albums, framed enlargements, white leather seating, and chalkboard with show specials for free engagement session. Location: 800 W Katella Ave, Anaheim, CA 92802.